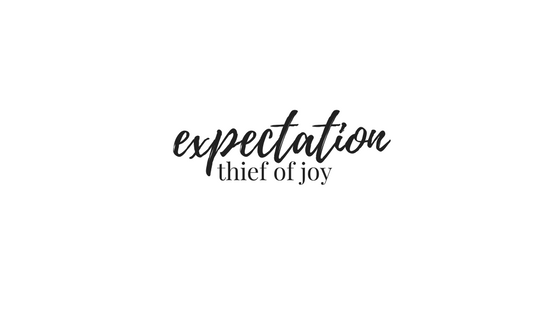 Expectation is a thief of joy. Friday I turned 22. With that, expectations flooded my mind. Expectations of how my year ended, what was in store, what I accomplished, and what was coming. Expectations of what I would be doing that day, what I should be doing, and how I should celebrate. I am a doer and sometimes I overdo it. My nature is to prove my worth, not to anyone else but myself. I want to prove to myself that I am capable enough, smart enough, creative enough, intelligent enough...and the list goes on. Many times over the last year I have fought the battle of expectations. I am a dreamer and a planner; I love creating scenarios and visions. The visionary in me loves to build and execute things, and although that is okay, I have to be careful in where my hope lies. I began to notice this about myself after the wave of busy started to fade. I could feel my soul raging in anxiety as I had my whole day in front of me, with no agenda. I have this addiction to fill and go and be and to not waste my time. At the end of the day, when I lay my head on my pillow, I want to be completely exhausted, because that is when I know that I deserve the rest I’m about to receive. In no way am I trying to prove my worth to other people, (though I am sure that at times I am) I'm really proving my worth to myself. Now, how foolish is that phrase that I just declared? Courtney, do you not know the work that your Father has conquered for you? I fell silent. I did not know what to say. Some might say I was convicted, but I was really just speechless at the simplicity. What if our expectation is turned to Jesus? He yearns for us to expect Him. I think if we do this, our perspective and hope can shift. Jesus declares that He provides and sustains. So, if I expect Him through my day, He will not disappoint. We are already expectant in our human flesh. So, why not put that hope in the One who will carry through? With a new year underway, I must fight my tendency to expect and prove. This next year is bringing more newness than ever before. Where it would be easy to draw conclusions and visions, I must press in.